Good quality professional commercial cleaning services are always in demand, providing daily cleaning duties – waste disposal, vacuuming, carpet shampooing, floor treatments, sweeping – and they will also provide additional periodic and ad hoc services if required. Currently, in the UK, approximately 55 per cent of cleaning services are outsourced. Here at GreenFM, we pride oursleves on providing you with one of the UK’s leading external cleaning contractors. It’s always a good idea to assess, review and periodically build into your cleaning program improvements or seasonal cleaning tasks. Here are just a few. 1. 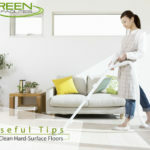 Spring Clean Deep Clean Flooring: Most high traffic floors take a serious beating during the winter months — leaving they dull, dingy or stained come Spring. Invest your time in some deep cleaning services, which can revitalise tile and carpest. A seasonal deep clean can make your floors look brand new. It can greatly increase their lifespan over time. 3. Hopefully you already have a thorough daily cleaning routine in place for your wash room cleaning and maintenance. Having said that, periodic deep cleans are the best way to eliminate lingering bacteria and dirt.. A quality deep clean should remove built-up dirt and grime, sanitise all restroom surfaces and polish fixtures. 4. Winter Bugs: Coughs, colds, flu and the annual bouts of winter vomiting bugs all contribute to the £28 billion a year it costs UK employers to have workers off work. During winter bugs and bacteria are prevalent on surfaces throughout the office. Clean desks, keyboards, phones and door handles as standard. Remember about sharing phones, tablets and other small electronics is a quick way for illness to spread. 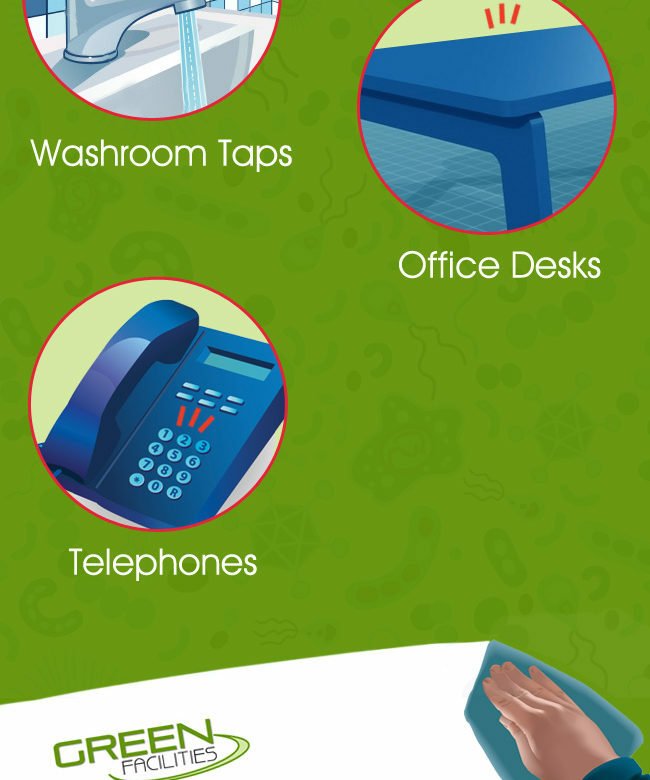 Wiping phones and keyboards daily with an antibacterial spray will limit this bacteria especially if a colleague has been taken ill with an infection. Hand hygiene is one of the simplest but most effective ways to prevent the spread of germs. Make sure you provide access to anti-bacterial soap in the bathrooms and clean towels, paper towels or even a hand dryer. Readily supplying employees with hand sanitiser and making it available for guests (at reception and in meeting rooms) will vastly limit germs coming into, and spreading through your workplace. Regulating temperature sounds obvious but it is another good way of combating the spread of infection. Avoid stuffy offices and if you do not have a heating regulator then simply open the window for a short period a few times a day. 5. Shops and Retail: Fallen leaves and debris can blow into your shop front, which is something you really don’t want or need. Ensuring that the entrance is closed, you eliminate any leaves or other build ups from entering your building. It also may be beneficial to leave floor mats at the entrance of your building. 6. Don’t leave the Gutters clogged up: Buildings that have a flat rooftop (or those that have a gutter system) will often collect leaves and other debris. When there’s a water build up in drainage systems, it often increases the risk of water damage and flooding to your building, which can be an incredibly costly process. Did you know that this is easily preventable through the clearing of your gutters? Any debris blocking this can be taken straight out through simply cleaning your gutters, therefore removing any danger of drain blockages! 7. Bin Cleaning: Interior and Exterior Bins are a breeding ground for germs and bacteria… Don’t leave rotting food in bins and ensure to clean exterior bin and surrounding areas to prevent nasty germs. Lower obvious costs: No need to pay an outside commercial cleaning service. Trust: You may prefer adding cleaning to the duties of your current staff. With only trusted employees handling cleaning tasks, you will be better assured of data security. Besides, your staff have plenty of extra time to clean the offices and cleaning tasks will ensure they are kept busy. Personal control: You may prefer in-house supervision of cleaning practices and prefer to hire your own dedicated on-staff cleaners. This keeps your highly paid employees on task rather than cleaning and provides you the opportunity to interview and select each individual office cleaner. You can then supervise or direct their activities yourself. 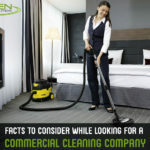 ROI: Your return on investment in hiring a professional cleaning service will likely be positive, all things considered. Commercial cleaning services actually save money for most businesses. All told, in-house cleaning costs business organisations nearly 25 percent more than contacting to an outsourced cleaning firm, according to .industry analysts IFMA (the International Facility Management Association). Limit distractions: Keep highly paid staff on task rather than on cleaning duty or free your HR staff of the necessity to continually hire dedicated cleaning staff member(s). Let your professional commercial cleaning firm handle tedious hiring and staff scheduling–freeing you of this concern entirely. Improve quality: Typical in-house employees are not trained in cleaning methods to properly disinfect all areas of the office, including lavatories. 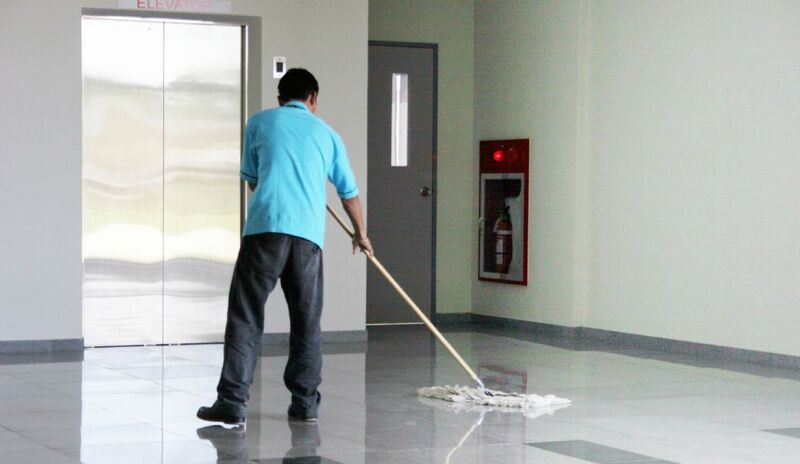 Contracted cleaners are well-trained professionals–they perform tasks safely and do a better job, providing guaranteed cleanliness and hygiene. The best contracted cleaning firms have ISO 9001 certification for quality assurance. Keep injury claims down: Employees stand a greater chance of on-the-job injury or workplace accidents while cleaning with chemicals, climbing to reach high surfaces and lifting or moving heavy objects. Enhance workplace safety. Let an outsourced cleaning company deal with the HSE and do your high level cleaning for you. Be free of environmental hazards: If you choose a cleaning service that offers eco-friendly cleaning, you’re ensuring you and your staff are not overly exposed to harmful VOCs (volatile organic compounds) found in typical cleaning chemicals. You’ll also easily meet European standards of sustainability. This is easily the most effective way to run a sustainable operation. By making the items that you manufacture or sell more sustainable, you spread your green actions to everyone you do business with. If your company manufactures or sells energy-saving products that can be installed at your customers’ properties, you may be eligible for Britain’s Green Deal scheme and the use of the Green Deal Approved quality mark. Your company’s vehicles is one place you can reduce your environmental impact. Not only can choosing more efficient and lower emission vehicles be better for the environment. It can also reduce your business’s costs. Less fuel used means less spent on petrol. And, it can mean lower taxes, as well. Britain’s Vehicle Excise Duty (also called the “road tax”) is based on a car’s CO2 emissions. Because hybrids have lower emissions, their tax rate is reduced by around 20 to 25%. However, before trading in all of your company’s cars for hybrids or other environmentally-friendly choices, ensure that the trade will be worth it. It takes several years to make up the cost of the new vehicle in fuel and tax savings. It would be better to maintain the vehicles you have and gradually replace them with more fuel-efficient cars and trucks as they become obsolete. 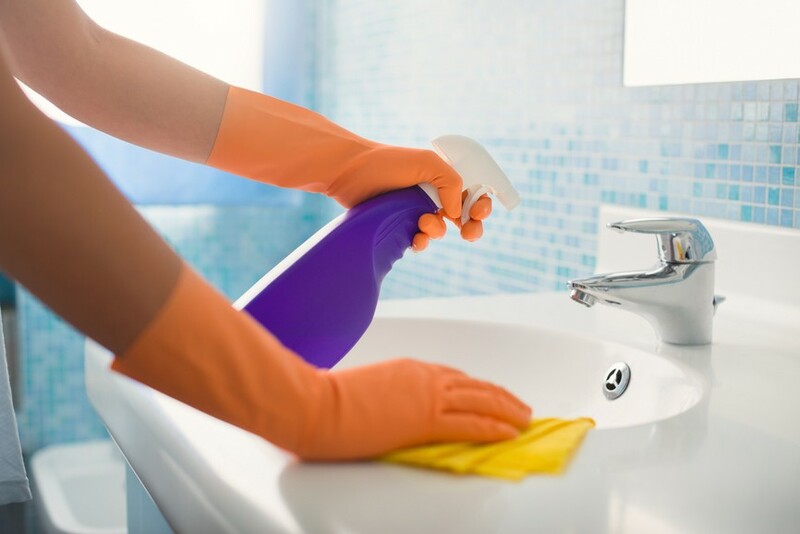 Many cleaners used in businesses involve harsh polluting chemicals or the phosphates that can pollute water and promote out-of-control algae growth. Trade in the cleaning supplies used in your business for greener options. For light cleaning, you may be able to use safe and mild options such as baking soda, vinegar and gentle soaps. For more intensive jobs, shop for commercial-grade green cleaning products. 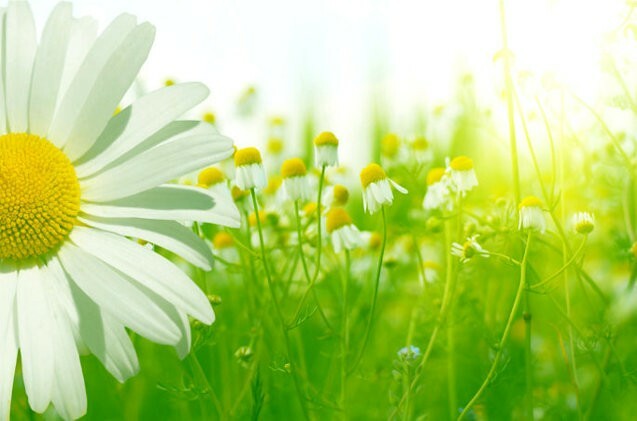 There are a range of effective cleaners that do less harm to the environment. According to a recent report from the World Bank, 1.3 billion tonnes of garbage is thrown away worldwide. Much of this is in the form of packaging that is discarded as soon as someone opens a new product. Reduce your contribution to the problem by considering your company’s packaging options. Can you redesign packaging so you use less? Replace disposable items with durable ones? Even if you are unable to get rid of disposable packaging, you can reduce your impact by choosing options that are made from sustainable materials such as recycled fibers and ones that can easily be recycled or composted by your clients. Every time you purchase a new piece of equipment, consider many options to see which one will cut your firm’s energy use. 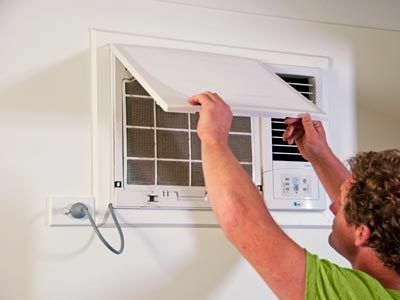 You can cut down heating and cooling costs by having better insulation installed in your working space. In between major purchases, cut energy use day to day by adjusting thermostats and urging employees to turn off computers and lights when not in use. 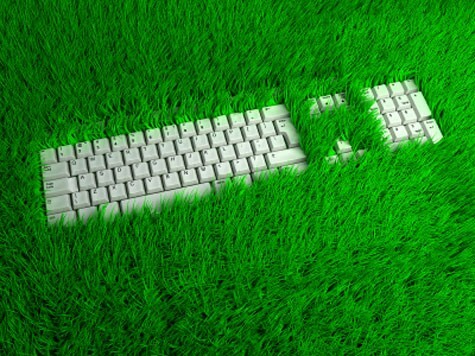 The Green Deal offers reliefs and exemptions from some taxes to companies that are able to cut their energy use. No matter where your business currently stands in regard to environmental practices, every step you make counts. If sustainability is a new concern, start with something as simple as a commitment to switch to recycled printing paper, envelopes and packaging. As you go on, continue to consider every aspect of your business and whether a change can render an improvement. By constantly examining and adjusting your day to day operations, you can, over time, make a big difference. 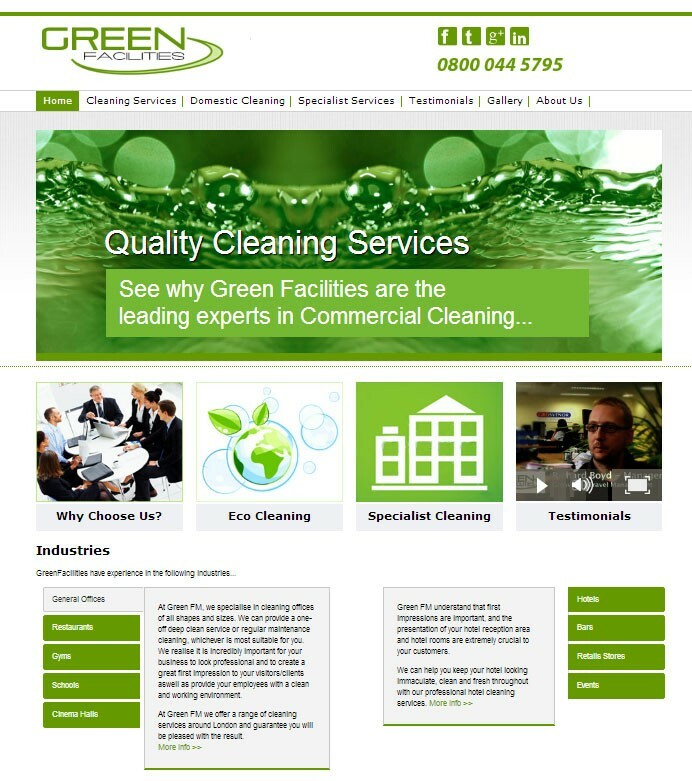 Green Facilities Management launch their new website with a fresh look and a focus on ‘green’ cleaning.